Welcome to Soundings! 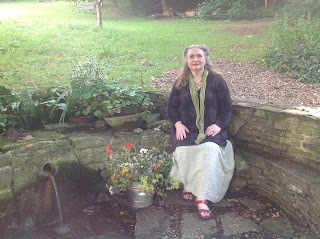 The blogsite of Caitlín Matthews. All blogs are copyright Caitlín Matthews. If you wish to quote any portion of this site, please ask my permission first. 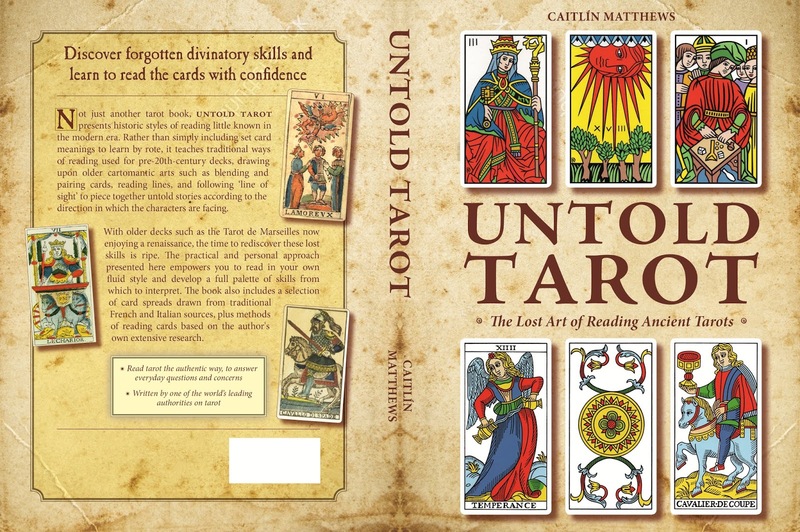 My new book Untold Tarot: The Lost Art of Reading Ancient Tarots is released on 28 September 2018. 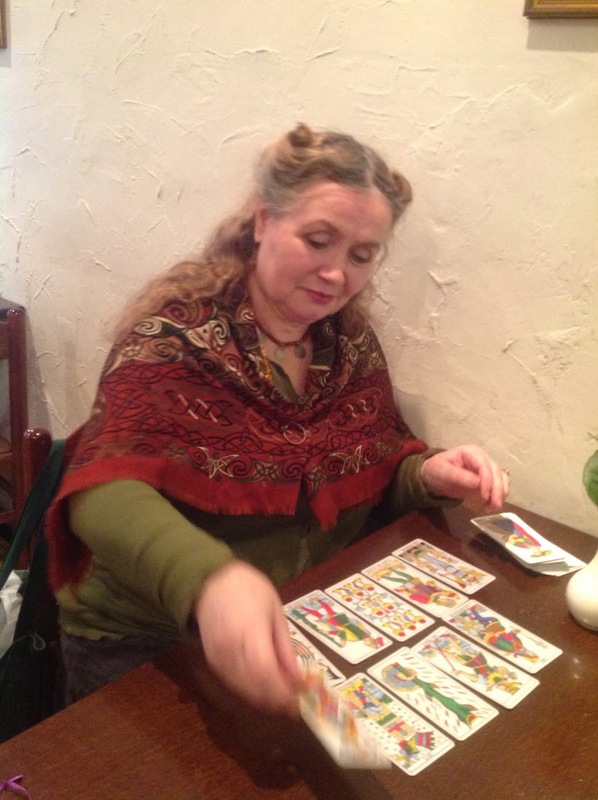 Here, I look at the older cartomantic ways of reading tarot, with a special emphasis on reading pips - the single most difficult aspect of older tarots for most taromancers. 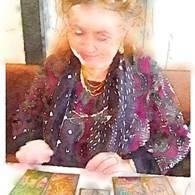 I also uncover directional reading, whereby the direction that any court or trump card faces determines relationship, action and meaning, and many methods that have been completely lost by taromancers but retained by cartomancers. This book does not call upon esoteric means to read the cards, but upon the skills that were used before 18th century French occult revival. is a little too much! We have become used to sumptuous pictorial pip tarots over the course of a mere century ago, and we have forgotten how we used to read before this or how to read cards without recourse to esoteric disciplines. Reading the story that the cards tell as they fall out is an art that I hope to restimulate in Untold Tarot, hence its title. In this blog, I want to open up tableau reading, using cards I laid back in January 2017 as an example. 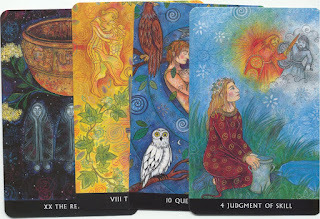 A tableau is simply ‘a picture;’ it is still one of the more powerful cartomantic methods of divining because, having laid out a square or rectangle of cards, we can pinpoint precisely where the querent is in the issue, looking where in the tableau it has fallen, noting what is above and below, or to either side. Tableaux, although they are the most traditional ways of laying cards, look troubling to the modern taromancer’s eye as there are so many cards, but be assured, we read them selectively here. Where the significator shows up in the tableau tells us a lot: the position they land on, the cards that surround them, the direction that they’re facing, the card they’ve turned their backs on, the whole hidden agenda. Tableau reading has tended to remain with cartomancers who use playing cards, but tableaux with tarot were common in earlier centuries. An example can be found Casanova’s Memoires, where the libertine, tells us that his young mistress, Zaïre, jealously accused him of his debaucheries by laying ‘a square of twenty-five cards wherein she makes me read all the debaucheries that had kept me out all night long.’ After her detailed reading, which is unfortunately not given, Casanova heaved her entire pack of cards into the fire in disgust. Below is a tableau of twenty-five and how to read one, enabling you to discover the precise nature of an issue by giving you the surrounding landscape of the story, allowing you to glimpse where the querent is within their story. 1. Shuffle in your pre-selected significator, and divide the pack into 3 equal piles of 26 cards each. Look through each pile to find which the Significator is in, without changing the order of the cards. 2. Discarding the other two piles, lay out only the Significator pile of 26 cards into 5 cards x 5 rows, placing the last 26thcard in the row nearest to the Significator, or at the edge if it has fallen there as in the example below. This card shows how the querent is facing the question or it act as an ally or the querent’s conscience. 3. Note where the Significator falls in the ranks. Each horizontal row gives us a clue as to the querent’s condition: in the top row, the querent is at the top of his game; in the second row, he’s still pretty good; in row three, things are middling; in row four, it’s beginning to be poor; in row five, things are not good. A. Read the Corners as a statement: 1 + 25 and 5 +21. This gives the outline of the story. B. Read the cross of cards above, below, and either side of Significator. If it is at an edge, use the extra card to complete the cross. What’s above, below, to left and right of them? C. Check the Pivot card in the central 13thposition. This shows the issue’s origin or fixation. D. Check the Diagonals leading to and from the Significator. E. Read the inner cross: 8,12,14, 18 and the outer cross 3,11,15,23. You can also look at interrelations between cards by means of knighting - the steps away from the card, in any direction, that are like knight's move in chess: two steps up, down, or to either side, and one step to the left or right. By mirroring - comparing or pairing cards that are at opposite ends of the tableau - we can determine how things work out dynamically. The preselected significator of King Deniers stands for Trump himself, found at the beginning of the 3rd line. 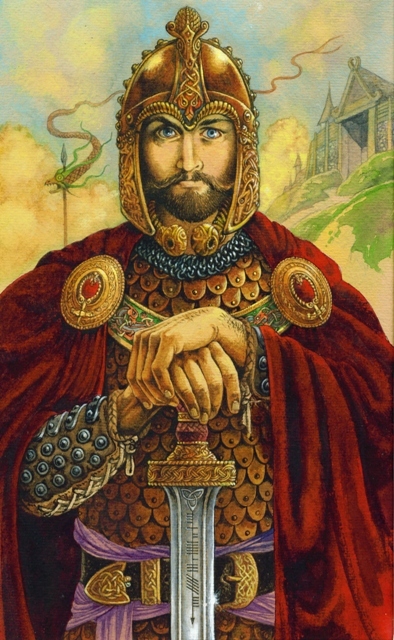 The extra 26th card is the genius or power that governs him, the King Swords. The corners of the tableau tell us that this is a story of how a democracy plays out: nearly all cups, if we include Temperance: the electorate voted to divide the country and put it in state of disharmony and challenge, putting everyone on their guard. This is not a civil war, but it is feeling like one. The Centre card of 8 Swords shows the state of the country: disappointment, on-going trauma, stickiness, and the niggling of his shifting words and uninformed sayings. Trump himself is represented by King Deniers, as a businessman, and he has turned up in the centre line, making a sandwich filling between the other lines. He looks to Popess who is not going to answer his overtures, however he objectifies her. I see this card as the spirit of the US herself, since it is a motherland, but here we don’t have the nourishing mother, but rather the stern mentor. Behind her is 8 Swords, 2 Batons and 8 Batons: a fearful state of mind is battling with a sense of stuckness, as this inaugural day makes clear how trapped much of the country feels. Trump himself knights both Queen Cups and the World, so while he will try to come over all appealing and sympatico on the world scene, under him is 10 Swords where our worst fears are realized and where paranoia and conspiracy-mindedness rules the roost. Over his head is 2 Swords which shows his mindset is pretty self-conflicted. He can believe two impossible things before breakfast. To his left, is his genius, or what motivates him: King Swords gives him a hard and uncompromising front, where everything is always falling into aggression. What strikes me are the two10s in the middle column: there are three tens in the reading overall, which means accelerating intensity – the only ten that is missing from this is 10 cups, so we don’t expect an over-plus of love and compassion in this administration! 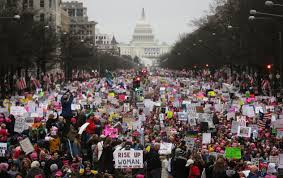 We have, in order, 10 Deniers and 10 Batons – this probably tells us what we need to know that, in the pecking order of priority, Trump’s interests are financial first, with business interests being the bottom denominator, so expect policies driven by business interests. Trump’s personal style is seen in the knighting with 5 Batons in top line: this shows us his boorish machismo. Also knighting him on the bottom line is 6 Deniers, which perhaps betrays a certain miserliness which is going to play out, between those two Queens of Swords and Batons, as a fiscal meanness. Looking ahead we have a tangle of Batons in the mid right section: 2 Batons becomes 4 Batons below, signaling bureaucratic disorganization, with 8 Batons to the right, there will be an attempt to pull things into better organization, but I suspect it will be easier to scrap the whole system that he builds up, frankly. The two Cup courts in the reading bear looking at, as they seem to typify Trump’s sickly attempts to present as a good boy or conciliator, but they both involve his trying to backpedal the effect of Swords: Page Cups is looking towards 10 Swords, while Queen Cups is turning her back on Fool with Knight Swords. Page of Cups is Trump the good boy trying to sweeten the pill of all-out aggression and war. Queen of Cups is having a hard time trying to ameliorate 2 and 6 Swords together which I suspect is about learning to live with the choices he’s made, if Fool and Knight Swords have anything to do with it. This last combo is a Don Quixote style aspiration of his: he wants to be the shining champion but he just looks like Sancho Panza. If we see Page Cups as Trumps' minion, then anyone working for him is going to be going cap in hand between his aggression and the world powers. The Page has the Popess overhead, and the 6 Deniers below showing that, as public servants, while they are mindful of the public good, they will end up appearing in a worse light than their president. Is there any hope here? Star with 5 Cups in the upper right corner: the duration of this term will probably prove to be a time of developing female strategy so that, come the next election or next government, women will be seen as essential in the governmental mix. This is borne out by the mirroring cards, bottom right corner: Queen Batons and Temperance – this could well indicate a female president in the future, someone who will temper the extravagances and inequities of what will be seen as a biased presidency. Analysis: 6 Swords, 6 Batons, 3 Cups, 2 Deniers, 5 trumps. This will be a contentious and combative term of government, in which the balance of world power is going to be polarizing Trump by reflecting compassionate or humanitarian views, which will be largely ignored. 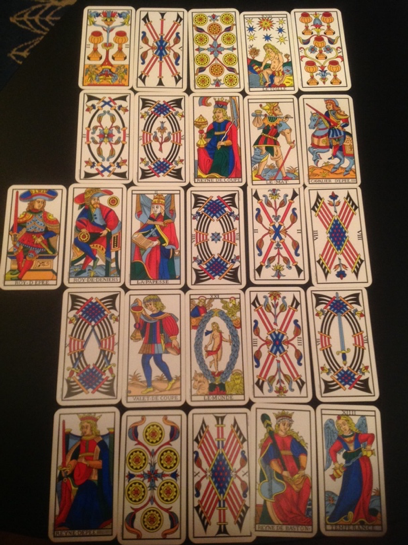 The cross about the central card: Queen Cups, Popess, 2 Batons and World surround 8 Swords – reason and compassion are trying for a short period of time (a traditional meaning for 2 Batons) to integrate him into the World stage, but the far cross of 10 Deniers, King Deniers, 8 Batons and 10 Batons are destabilizing factors: with shady deaings across the water, where Trump creates malcontent. There is much more in this tableau that could be pulled out, but I leave further analysis you yourself. There is much that we could add, in retrospect, as this presidency is still with us. 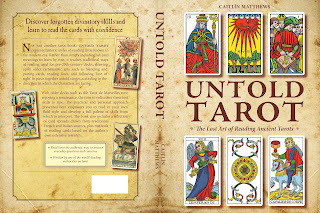 I hope that you will find some new ways to read here, find the confidence to try an older tarot, and enjoy finding the untold story for yourself. Earlier this Spring, I logged onto Facebook, to be confronted with a plethora of images of the Goddess of Spring, in the context of people wishing each other a Happy Equinox. One image in particular made me fall back in amazement: a hyper-real glamour-puss with a décolletage down to her navel, and a lascivious expression that suggested she might have fallen out of a pornographic magazine rather than any earth tradition. Is this really how people perceive and understand their divinities, I wondered? Bad religious art is bad in all denominations, of course: super-sweet Madonnas, pallid-looking Saviours, or cutesy Ganeshas can be equally alienating! And while some things are a matter of personal taste and aesthetics, the depiction of sacred beings as floozies or brainless he-men is insulting to the divinity in question, and hardly the kind of thing we would want our children to be inspired by. Every culture and time has its own art, and nothing so dates an era as cultural imagination, but where is the sacred art of our time? We are blessed to have many fine artists like Will Worthington, and Wil Kinghan, who have opened windows into the ancient Celtic world, as well as many other painters and craftspeople whose vision does them credit. But, on the other hand, there are also many more images like those of the unfortunate equinoctial being I mentioned above, as well as air-brushed images of what appear to me to be human people, not spiritual beings or divinities at all – they look like people you could meet at the car-boot or in the supermarket, and I am sorry, but they don’t inspire me or make me feel I am being powerfully upheld. Over the last few years, this change in how we depict sacred images has begun to more than bother me. Where are the images that depict the timeless acts of our sacred imagination? Now, everyone of us meditates, or stands in the sacred land, communing with the powers that be, and we experience something very different from bad-taste art: I know this, not only from personal experience, but from the relations of students and readers who share their perceptions and understandings with me. I know it distresses devotees that they cannot find the image or statue of the beings that they venerate, or that they have to make do with pictures that are not worthy of those divinities. I began to ask myself, how can we restore the sacred images to our world? Of course, the pre-Christian world had many beautiful images, whose destruction ensured that many ancient, ancestral visions of the sacred were lost to us. Such iconoclasm is still going on in our world, as we see from the destruction of many historic sites, like Palmyra, which Daesh smashed to rubble: the loss of artefacts, images and sacred sites is not just a loss of beauty, it is loss of ancestral heritage and cultural inspiration. The sacred images of pagan traditions in a present era have largely yet to emerge. Restoring these images, from the heart of our imagination seems to me a sacred task that is laid upon us at this time. Bringing the images of our divinities, heroes, and holy ancestors back into the world for ourselves and our community enables the iconic moments of our beliefs and the sacred myths to be manifest once again, to continually inspire us. But it is not just a matter of reproducing ancient artefacts or copying sacred images: it is about finding them in our own vision. In the light these thoughts, over the last few years, I have begun to learn the technique of painting icons in egg-tempera, where earth and mineral pigments are mixed with egg yolk to making a painting emulsion with the addition of water and wine – a medium that preserves down the centuries. Icons are not illustrations, but rather windows into the otherworld. We don’t invent icons: they arise from the genuine visions and interactions that we have already had with the divine beings of our devotion; we have already observed them with the eyes of the heart. Now, while I had a good art education, I would not regard myself to be any kind of great artist, but I am a good prayer! Bringing sacred images into being on a gessoed board, requires meditation, prayer and a deep communion with the being in question. An icon is made up of many layers. We paint from the darkness to the light, much as we first approach a sacred being in the very beginning: at first, we do not see the likeness of our devotion clearly – their features are not known to us. We begin with a sense of presence and companionship, or awe or mystery. As we continue to meditate and the divinity or ancestor comes closer to us, our perception begins to clarify. Even so, we start over again every day, moving from the darkness of unknowing, through many different shades of colour, into the clear light of their presence. If you are familiar with Orthodox icons, which kept alive the Eastern Mediterranean skill of egg-tempera, you will be aware that they look different from other kinds of depictions. Icons use inverse perspective: rather than the Renaissance ‘vanishing point,’ whereby all the lines of perspective are aligned and widen out to our view, something else seems to be happening - the perspective lines rather converge on the viewer because the subject looks out at us.In effect, the icon ‘comes to us,’ which is, of course, how our perception of the sacred being happens. The divinity, hero, spirit or ancestor, already witnesses us,and this is why we feel their warmth and love that drew us to the being in the first place. These images are never sappy nor sentimental, but powerful: they appear on their own terms, not ours. 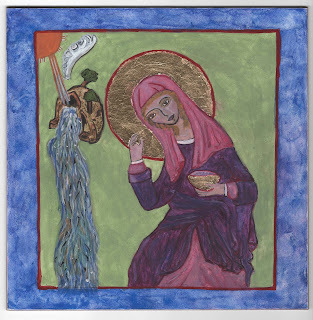 In an icon, we capture the essence of timelessness, making it possible for us to experience the prototype of a being or sacred happening, so that we may witness it. This was well described by the philosopher Sallustius, the amanuensis of the Emperor Julian, who attempted to restore Pagan belief to a Christianising world, who said: ‘Myth is something that has never happened, but is happening all the time.’ For example, we experience the loss and finding of Mabon, son of Modron, not as an historic event that once happened, but as a loss that lays us waste, and also as a finding that reunites our fragmentation: it affects us now, in this very moment. We experience the Goddess of the Earth not only as bountiful mother, but also we are aware of her in every devastation and loss that our physical world suffers. We are thirsty for the wisdom that never dies, and we seek the action of the Grail or Cauldron that irrigates our dryness, and heals our wounds. Restoring the sacred images to our world ensures that they are present to tell us that we are not alone. When we go in and out, when we eat or rest, when we celebrate or mourn, the sacred images are present in our world, as well as in the otherworld, enabling the sublime to be present among us, as an embodiment that inspires us every day. I, for one, would be most interested to see the emergence of images that worthily uphold our spirituality, and inspire generations to come. Over the last thirty years, I've invited all my shamanic students to include prayer in their lives, regardless of whatever tradition they follow. Why do I feel this important? When we learn about spiritual healing, of course we cannot be of service unless we are first spiritually connected, any more than an electrical appliance can give light or heat unless it is first plugged in. This necessary component of Spirit cannot be left out, or our learning becomes merely theoretical or just techniques. Wherever I go in the world, whatever the audience, whatever the topic, this is largely what I am teaching. But, whether we are healers, or business people, whether we are active, retired, ill, in transit, we all need prayerful connection with Spirit. Unless we draw water from the deep well, our steps cannot be surely guided, for our lives are not lived only the world that we see, but they are also part of the world that we know from our visions, dreams, and meditations. 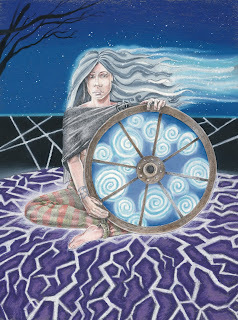 from Celtic Book of the Dead. We live in an era of spiritual nomadism where, between the extremes of an over-certain fundamentalism and the often-mysterious mysticism of established religions, there dwell many people who would regard themselves as people of spirit, who try to live ethically and responsibly, but who do not fit within a fixed faith tradition. It is with these people of spirit that I have most to do: they are the people between, the spiritually marginalized, the ones whose hearts beat passionately for the state of the world, and who want to be spiritually and morally responsive to All That Is. They are not counted as part of anything, they may not be gathered into specific groups, but I witness them every day. They perceive Spirit in individual ways, under different shapes and by other names, and they are many. So when people write about our age being ‘post-religious’ they may not be giving us the whole picture: I would say that we may be post-denominational, but not that we are without a sense of the sacred, whether we see that as supreme being, an intelligence, or as a matrix of divinities or spirits. There is a common impression abroad that prayer belongs just to professional religious people, but it doesn't - it belongs to us all, not just to the religions and faiths to which you may or may not subscribe. It is part of the dialogue which we have with the universe, and how the unseen life of the universe reveals itself to our soul. Prayer is as much for you and all those who, through default, alienation or exclusion, find themselves outside the holy sanctuaries. Prayer arises in us all. 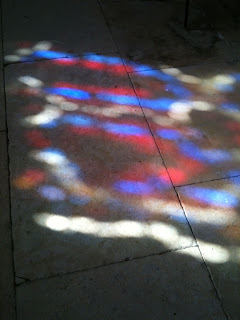 For all who wish to begin a personal spiritual practice that helps them keep connection with the Sacred Source of Life, and for those who want to engage with the prayer life of the whole universe in ways that are natural to them, the first steps into that world of prayer are often clogged with problematic baggage. If you have moved out of the faith of your upbringing, or recently vacated a religion that did not offer you spiritual hospitality or help at the time you most needed support, you may have the bitterness of the rejected, where anything smacking of that faith may feel like enemy territory. If the holy images and devotions of your past evoke fear, guilt or distain in you, then these will probably not be your best hand-holds for the way forward. Conversely, if you have never actually accumulated any of that religious baggage, because you had no such background or upbringing, it can be just as daunting. You may have no notion of how to get started, or your own developing sense of the sacred dimension may not feel strong enough to stand on its own legs yet. The validations that only long experience brings are not yet in your possession, and you are like a scout over unknown terrain. In which case, you are in good company, because everyone who starts down the path of prayer eventually makes their own discoveries, unknowing that we are on the road with others. This is beautifully illustrated by Ingmar Bergman’s 1982 film, Fanny and Alexander, where the eponymous brother and sister are rescued from the wreck of their mother’s second disastrous marriage by a family friend, the Jewish Uncle Isak. As they settle down to their first night’s sleep of safety in many months, Isak reads aloud the story of a youth who is upon a journey: he no longer remembers where it started, nor is he sure where he is going. The way is hot and unrelieved. In his exhaustion, he cannot notice the trees, nor can he hear the waters. He falls in with an old man who, like him is walking the same way. 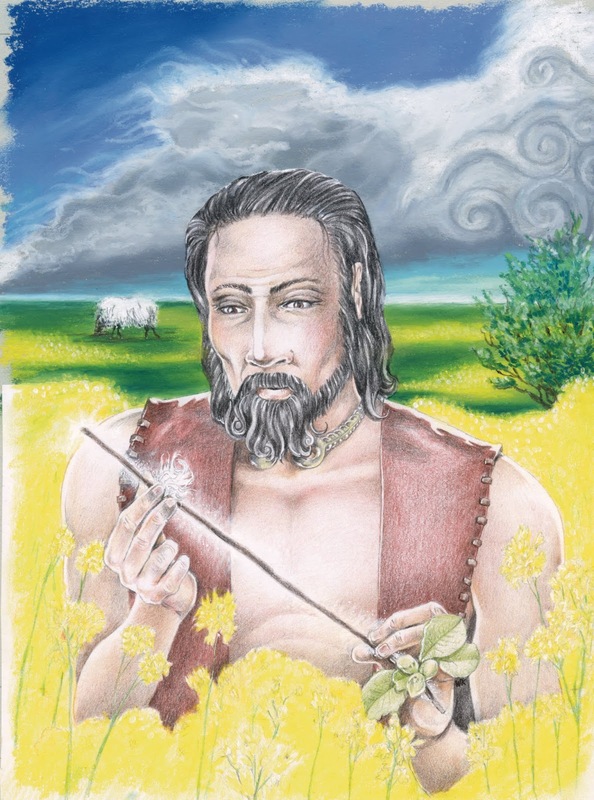 He tells the youth the pilgrims’ cries, hopes, and dreams condense into a great cloud, becoming the springs at which travellers can quench their thirst and wash their burning faces and blistered feet. The story Isak tells is a parable, similar to the gnostic story of the Hymn of the Pearl, from the Acts of Thomas, whereby a royal youth goes out into the world, becomes forgetful of his priceless inheritance of spiritual wisdom, and wanders in a sorry state until reminded of it once again and brought home to his family. The water that potentially irrigates the weary youth in Isak’s story is blent of the hopes, dreams and cries of other pilgrims who have been along the same route before him. We do not travel alone, and the hopes and visions of others make water for us along the way. 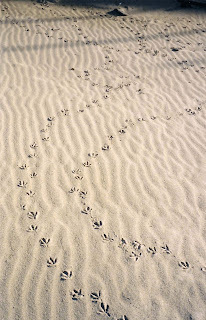 The paths to our natural spiritual way lie all around us: when we follow these hints and clues, they open out into a whole landscape. Trusting your own personal communion with nature and spirit can become the basis for the most powerful and transformative experience. 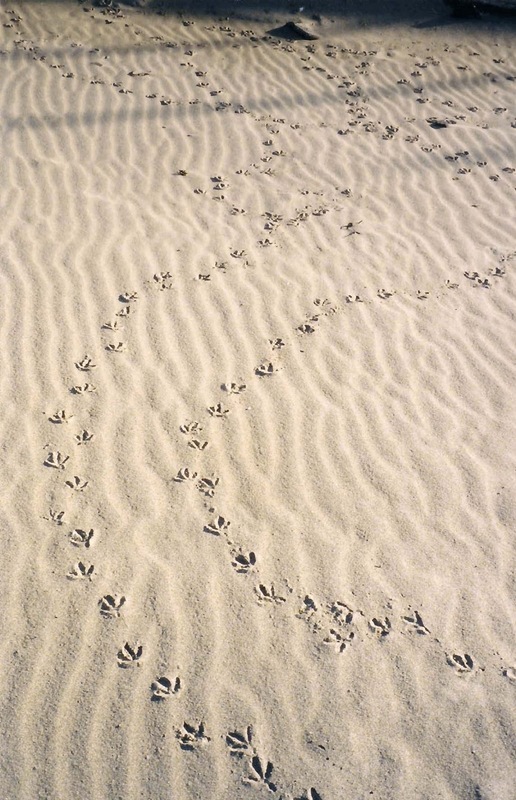 Wherever you stand on your path, prayer arises naturally in everyone, is bound to no specific theology, but it is open to all people of spirit, regardless of whether they follow a chosen path or whether they are pilgrims seeking on the road. Prayer is not just words and asking; prayer is a state of being into which we enter. It can entail our behaviour and attitude, our thoughts, our actions, our stillness, our struggle to cope after sorrow, and the kinds of connections we have with the universe. Nor yet little, nor yet dark! However, we don’t only ‘pray to,’ but we also ‘pray from, with and for,’ which resets the parameters of prayer. We can pray from a place of strength and witness, we may pray with those who hold the same vision, and we always pray for those times, places and beings undergoing suffering, in compassionate solidarity. But prayer is not only oral. Through silence, singing, movement, stillness, meditation, and the mediation of blessing, everyone can find their own way of welcome. As one of my teachers, Daan van Kampenhout observes, ‘Prayer never weakens you.’ It is not pleading, bargaining, nor black magic. By stepping first into communion with these sacred sources of love and help that gladden your own heart, by seeking out spiritual connection before anything else, our prayer goes freely where it needs to go, unconditionally, unshaped and undefined, to land where it most needs to be received. Like a stone that is thrown into a pool, the ripples of prayer ray out until they reach the sides of the pool, upon which, they come rippling back. People have always gone apart to pray, many have gone out into nature, not to feel holy, but to address those things that are beyond our ability to manage: to find inspiration, help, guidance and a sense of being companioned. Prayer is also wound into our lives and their daily concerns. Long periods of prayer are not about many words but about what happens in our communion with Spirit, however we understand that. Prayer is the loom where we are woven, where we can reweave what has been broken, where we weave in what matters. Our prayer contributes to the greater weaving of the universe and nothing can remove us from its inclusion: it is a weaving that covers all of us. Prayer is the natural heritage of everyone: it belongs to you, whereby our lives might be a blessing. I invite you to join me in the late spring as we explore prayer as a movement of the soul that goes beyond just words, but is so much more, where we include the totality of our universe, the ancestors, the natural world and the deep heart of our natural spirituality, which goes beyond denominations. All people of spirit are welcome. 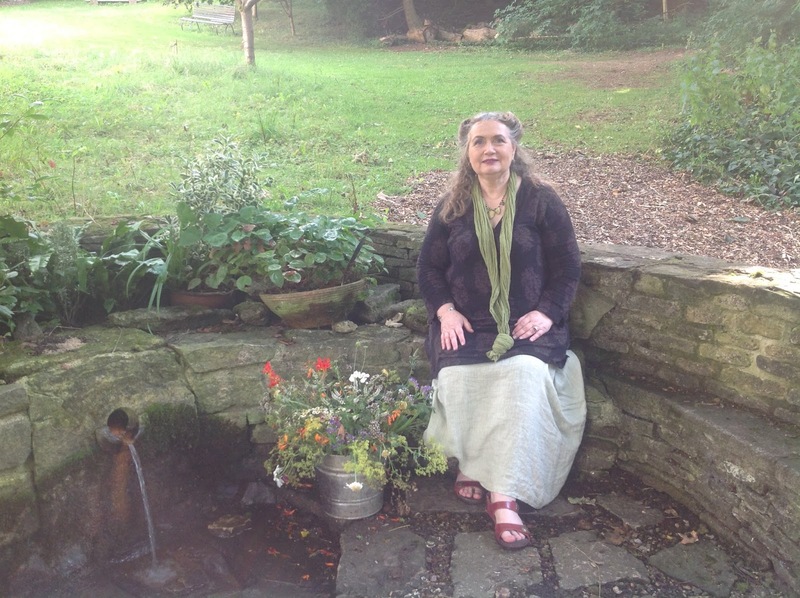 29-31 May 2018 THE ART OF NATURAL PRAYER with Caitlín Matthews & Margot Harrison. Prayer is the natural heritage of everyone, including those people of spirit with no fixed or Christian faith. At Woodbrooke Quaker Study Centre with its beautiful grounds, we will explore prayer through silence, song, walking in nature, meditation and mediation, and working with the regenerative sacred source of the universe in the context of your own vision. By taking responsibility for our spiritual practice, we become fully human by our service to natural prayer, enabling us to be a blessing to others. Anyone with hospitality of soul, or who is seeking doorways to awakening or kindling a personal spiritual practice, is welcome.